We have provided CASA Aircraft Register search functionality on multiple websites we’ve operated for some time and, as such, supported an API to centralise the data. While that data has always been available to clients, this article serves as a brief introduction to the API for those that are unaware of its existence. We’ve long advocated that flying schools (and other grass-root aviation organisations) have a register search engine on their website such as the one our WordPress plugin provides. The data source attracts a cold web audience, keeps people coming back to your website as a resource (as it should be), and provides for an internal reference. Our data source checks the CASA website for updates on a daily basis, and the API itself provides data connected to the aircraft (other than registration details), such as investigation reports and images from various sources. The query URL for all requests is shown below. As with most of our services – and introduced only recently as a means of mitigating rampant abuse – an API key is required. If you don’t have a key and would like access, please make contact with us. For all current and former partners, your existing platform API Key will enjoy lifetime access. 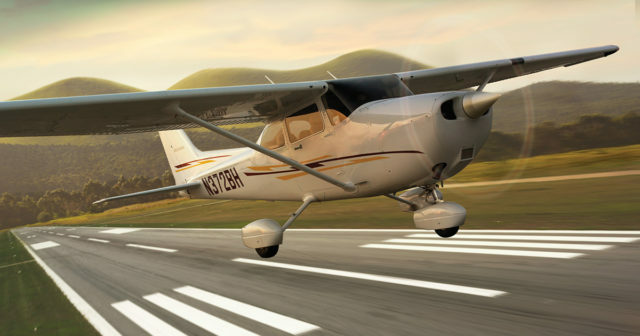 For the first example we’ll query the aircraft AAG, a 1968 model Cessna C185. Endpoint is casa.json?apikey=xxxxx&id=AAG. [source] => ATSB.gov.au. Copyright may apply. [source] => Airliners.net. Copyright may apply. We return all fields whether there’s a value associated with it or not. Note that we’ll also return a portion of images sourced from Airliners.net, and Australian Transport Safety Bureau (ATSB) reports that include a reference to the registration (regardless of whether the rego is currently assigned to the queried aircraft). Depending upon your access, additional information will be returned, including thumbnail images sourced from a larger number of websites. We’ll be building upon the returned data for specific aircraft over time to provide a more complete resource. We order results by registration (descending) by default. Alter with order=asc or order=desc. Pagination query parameters are pg and number. The fields you may search upon are as follows: first_registered, model, engine_model, rego_holder_name, rego_suburb, rego_state, rego_postcode, rego_commencement_date, operator_name, operator_suburb, operator_commencement_date, propeller_manufacturer, propeller_model, country_manufacture, year_manufacture, and icao_type_designator. All date fields require a 8-figure date stamp (YYYYMMDD) or a human-readable time in the following exact format: 10-april-2018. All search parameters require an exact match except for rego_holder_name and operator_name. As with other results, order results by order=asc or order=desc, and pagination is determined by pg and number. We return a number of formats designed specifically for popular graphing applications. Without specifying what JSON you’d like returned (format=googlecharts, format=beliefmedia etc. ), we return a key_value pair, and another array with two fields. Any value in the $allowed_fields array (above) may be queried. We have a WordPress plugin we provide to various clients (flying schools etc). We’ll occasionally send out API Keys to our FLIGHT mailing list. This API is very much in development. We’d ideally like to add additional data, live tracking results etc. The ATSB data isn’t intended to be accurate, complete, or valid, and there’s the likelihood the ATSB results aren’t associated with the current airframe. We have an API to return ATSB report data (browsing and searching) although the ATSB is the only official source of such information. Bottom line: ATSB data is returned for information purposes only. Some CASA fields have limited value options. Full details available on the CASA website . The page we’ve linked to also includes other details associated with each field. You may see examples of the register search engine on FlightPlanning.com or flight.org soon as a means of demonstrating the WP plugin. Edit, 11th April: We’ve had a few requests for the ATSB endpoint details. Basically, all requests are made to atsb.json with a type of browse or search. An ID (?id=ABC) returns all reports attached to a callsign. The source shouldn’t be considered up-to-date, accurate, or complete.